But Kineret isn’t for the faint of heart. It requires a daily injection. Every single day. And the solution is considered “preservative-free” but it contains sodium citrate– also known as citric acid. This means the injection feels about as good going in as pouring lemon juice in a paper cut. In additional to all the regular scary warnings that come with biologics (risk of infection, malignancies, anemia), there’s also a high chance (about 70%) that you will develop an injection site reaction (ISR) during the first four weeks of treatment. I made it through the first two weeks without incident, so I thought I had escaped the window of opportunity for an ISR. Wrong. Oh, how wrong I was. When the rash first started to appear in small clusters of red bumps, I though I was having an allergic reaction to something environmental, like laundry detergent. Then, a few days later, the initial clusters became enormous plateaus of raised, angry welts. (Meanwhile the newer injection sites produced the small clusters.) In a few more days, the big welts would harden and darken, like bruises. At this point, they managed to be both painful and itchy simultaneously. It was during this time that I was trying to run a 300-person conference, so I dosed myself with antihistamines at night and periodically applied antihistamine gel during the day and tried so very hard not embarrass myself by scratching my upper thighs in public. As I swelled up and the injectable real estate on my thighs got more and more exclusive, I thanked whatever deities might be listening that I hadn’t tried injecting my stomach. The good news is that the bruising faded, and now it is almost impossible to tell where I’ve done an injection by the next day. But ISRs or no ISRs, Kineret has changed my life. As a result, I am even more committed to fight on behalf of patients to keep biologic medications accessible and affordable. The ultimate aim of medicine must not be just to keep us alive, but to allow us to flourish. Just stumbled upon this blog post…I’ve been on Anakinra for 11 months now. 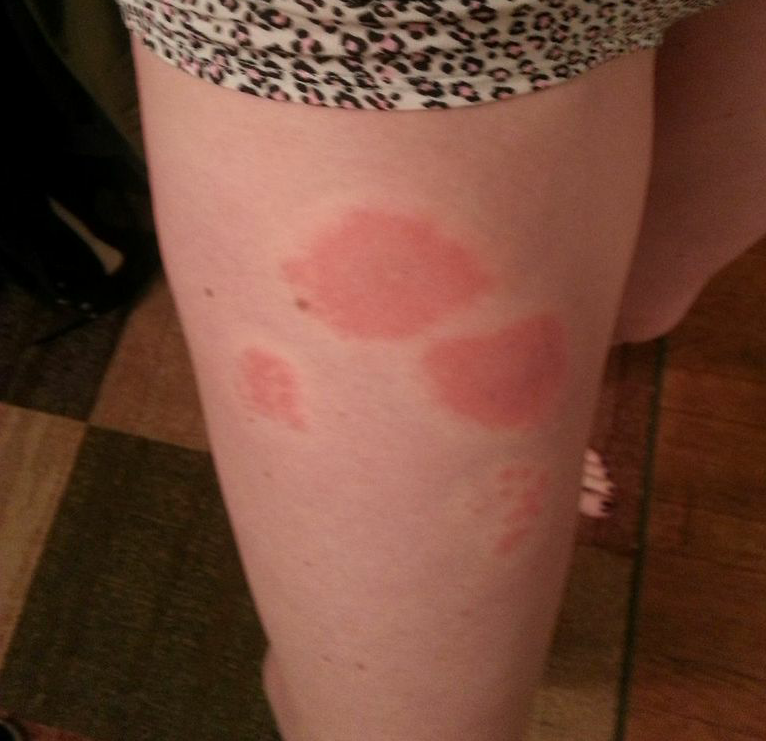 I find that I get bigger ISRs (basically a big ol’ nasty hive/welt) on my legs than if I do them in abdominal sites. While my autoinflammatory condition(s) aren’t in complete remission, I can say Anakinra has improved the quality of my life greatly. Thank you for commenting and I’m sorry I’m only seeing this now. Do you still get ISRs from anakinra? I have minor irritation sometimes, especially if I take a hot shower too soon, but none of the itchy, painful welts like in the photos. Thank you for sharing. I have been on the injection for 2 weeks now and started having the injection site reaction after the first week. So hopefully, I will start feeling better soon. I hope anakinra is helping and you’ve gotten through the worst of it by now! Thank you for posting pics of injection rash. Almost two weeks on Kineret now and my stomach i full of those “roses” – helps to see pics that tells me it is normal! So glad to hear my photos are helpful! I hope the worst is past for you. 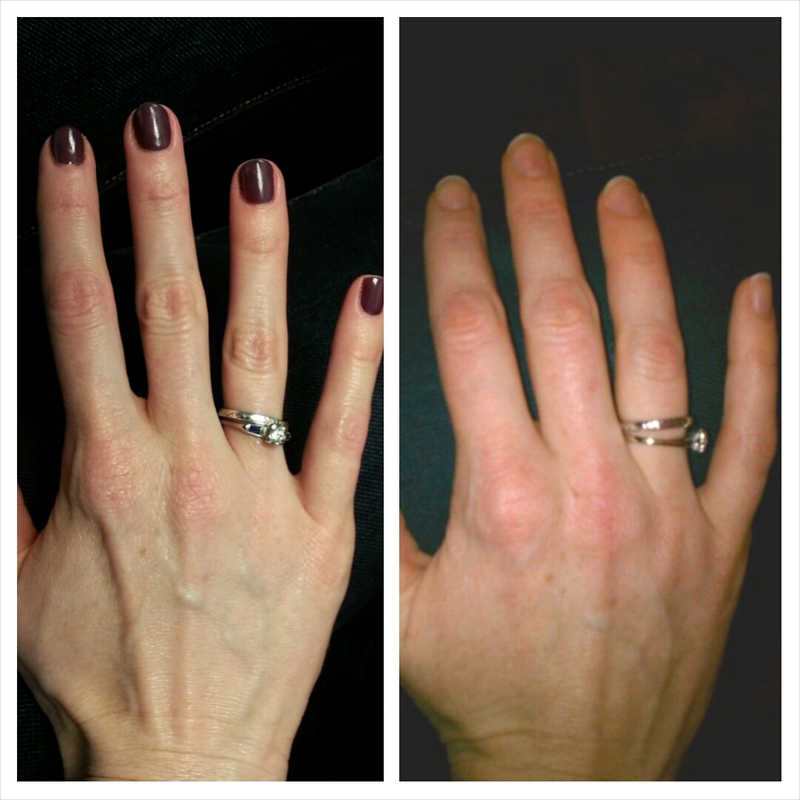 Topical benadryl gel really helped for me. Thank you very much for the article. I was diagnosed with Still’s Disease two years ago and have been on cortisone since but recently a new dermatologist that I’ve been seeing since January suspects that it is TRAPS that I have all along. He said Anakinra will have to be prescribed if colchicine can’t do the job or suppresses the symptoms well enough. My question is once you’re on Anakinra is it forever? This particular biologics isn’t covered by my health care and I’ve been told that it’s prohibitively expensive. Unfortunately, the symptoms of periodic fever syndromes like TRAPS are caused by defects in the innate immune system, so it’s likely that one will have to be treated for life; however, there may be situations where the majority of symptoms can be controlled with something like colchicine and only flareups would require a strong drug like anakinra. Anakinra is quite expensive–about $3,000 per month in the US. There are programs through Amgen/SOBI and private foundations that can help cover all or part of the cost if your insurance won’t cover it and you meet certain income requirements. I’ve heard there there are also some oral and long-acting versions of IL-1 blockers (the class of drugs that anakinra is in) under development. I’m looking forward to the day I can take a pill or do a bi-weekly injection instead. Good luck! I cannot thank you enough for this post. I’ve been diagnosed with Adult Onset Still’s Disease and the last 15 months have been some of the most challenging of my life. I have tried: infusions, injections, steroids and FINALLY, as of two weeks ago, Kineret. Just the knowledge that another woman went through exactly the same moment, but has gone on to a complete remission, makes all the difference. I celebrate you and your recovery!! Cynthia– I hope your ISRs have improved and you’re continuing to see your symptoms recede as well. 2 years later and Kineret is still keeping my TRAPS/Still’s symptoms at bay, though I’ve continued taking a low dose of prednisone to control my lupus symptoms. Thank you for reading and be well! Thanks for posting this I am 17 years old and on day 11. I just found out last year that i have a genetic disease called familia mediterranean fever (FMF), but i have a second gene defect and makes my symptoms longer from 1 week up to 2 months. I haven’t witnessed and experienced any rashes and hope i don’t. I also was on prednisone for a 5 months. Did you experience change in appetite and weight gain? Just like Michael I was prescribed colchicine to prevent/reduce/block the amount of time and reducing the pain. I’m still on colchicine and kineret. I hope to see results soon. I hope you are doing well and thanks for posting this. Lauren– I hope you’ve managed to avoid the ISRs. If not, topical benadryl helps a lot! I definitely gained some weight when I was on a higher dose of prednisone, but the good news is that your metabolism will probably reset once you’re off the prednisone, or at a lower dose. I haven’t had any issues with appetite from the Kineret. Are you feeling any better now? I hope so! Thanks for replying! I’m feeling much better and finally off the prednisone. I was wondering if you ever had a elevated liver transaminases. When my blood test came back they said that I had a really high and elevated liver. They also have been changing up the dosage I started with 100ml, then because of the liver it changed to 50ml every other night and finally I am at 50ml every night. I also wanted to know what if the best place you like to inject yourself. Right now I’m injecting into my abdomen and stomach but the needle has been hurting my skin and I hard to penetrate through. Thanks again for replying. I’m so glad that your treatment is working! It looks like you had a very impressive change in physical symptoms and I’m glad to hear quality of life has improved as well. I finished my PhD in mid-2015 with a dissertation focused on the inflammasome, which regulates IL-1 cytokine signaling. As you know, Kineret puts a stop to the whole pathway at the IL-1 receptor! Your post has reassured me that this was the right career choice, because even if I end up only making incremental contributions, the end result is a better life for you, me, everyone. Keep on keeping on! Thanks for this Jordan, and thank you for your commitment to this kind of work. I worry that we “rare disease” types lose out because we aren’t of interest to the Big Pharma machine. But I also know that it’s often the NSF and NIH funded research going on in universities and hospitals that really encourages imagination and exploration. I’d love to hear more about your particular area of research. It took about 2 weeks for mine to simmer down. 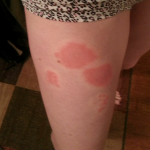 Try some benadryl cream– it really helps with the itching! Thanks! I will definitely try that as hydrocortisone isn’t doing anything. Let’s hope for 2 weeks… fingers crossed. Thanks so much for sharing your experience and photos! 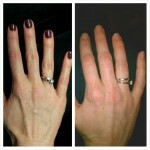 I’ve been on 7 biologics and 5 DMARDs for seropositive RA since 2009. Six joint surgeries later and I’m ready for some relief. Kineret is the last option before going off label experimentally or on a clinical trial. I’m on day two of injections and the ISRs already started.